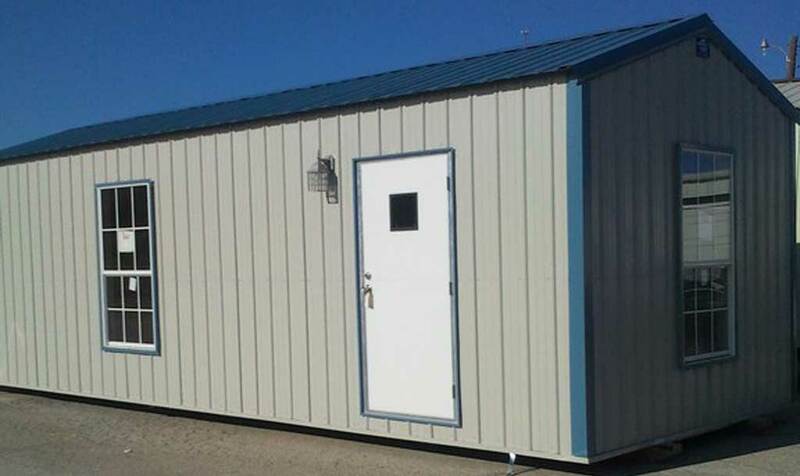 Oilfield Crew Quarters Workplace Housing with standard designs from 2 to 14 persons. Comfortable capacity and custom floor plans with hot or cold climate options available. 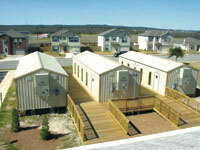 These buildings are a long-term investment, designed for many years of extreme duty in the gas and oil industry. Can be moved hundreds of times! Our Crew Quarters solutions are designed with comfort in mind. They are built to not only withstand your tough conditions, but to also be affordable, comfortable and efficient. 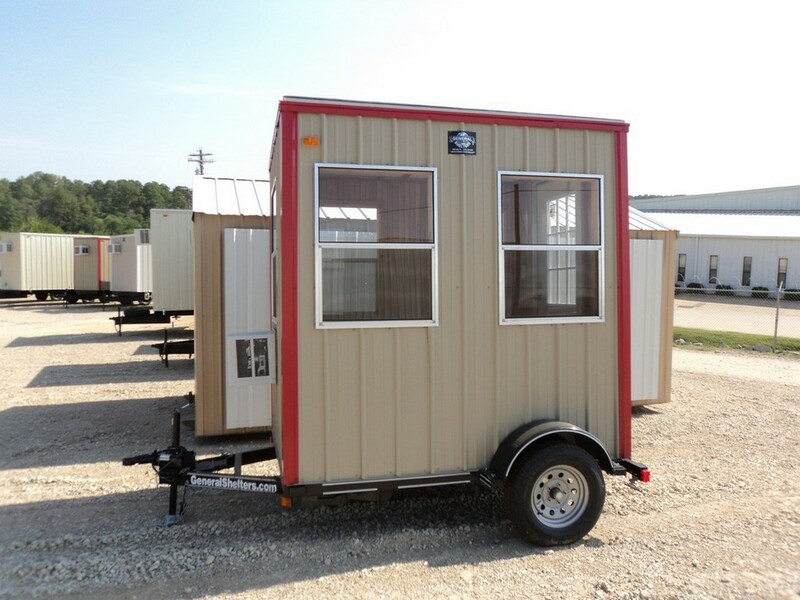 Our portable Crew Quarters are made to move – again and again. And set up is fast and easy so there’s less time wasted during project relocation. The different floor plans allow you to create the ideal solution for your crew, your project and your budget. Choose from a wide range of floor plans or custom-build your own solutions. This well appointed living quarters comes with many standard features including: 2 bedrooms & 2 1/2 bathrooms, 13′ X 17′ office, flat screen TV with surround sound. Provides a separate changing room for cleaning up before entering living quarters. 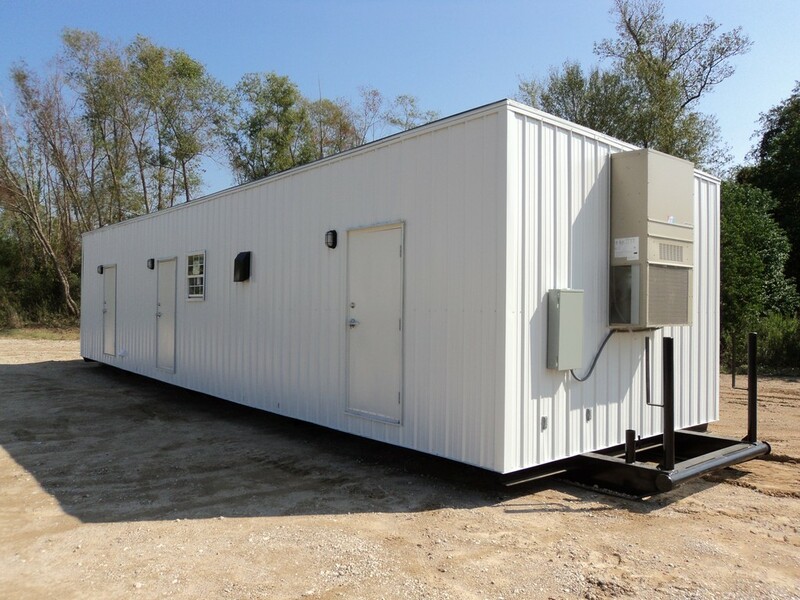 Relocatable restroom facilities with floor plans for any size group. ADA compliance available. This building is powered by generator and batteries. Available as a skid mount unit also. This building is powered by generator or batteries. 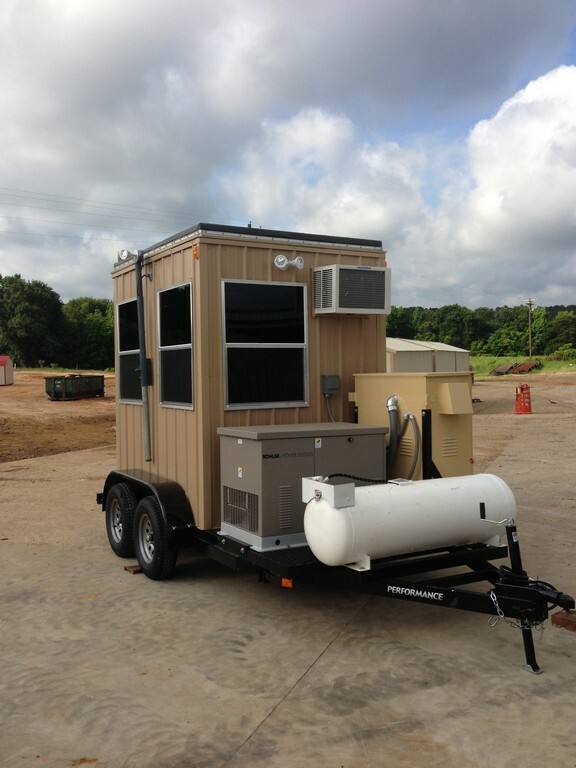 Also available as a mobile unit. 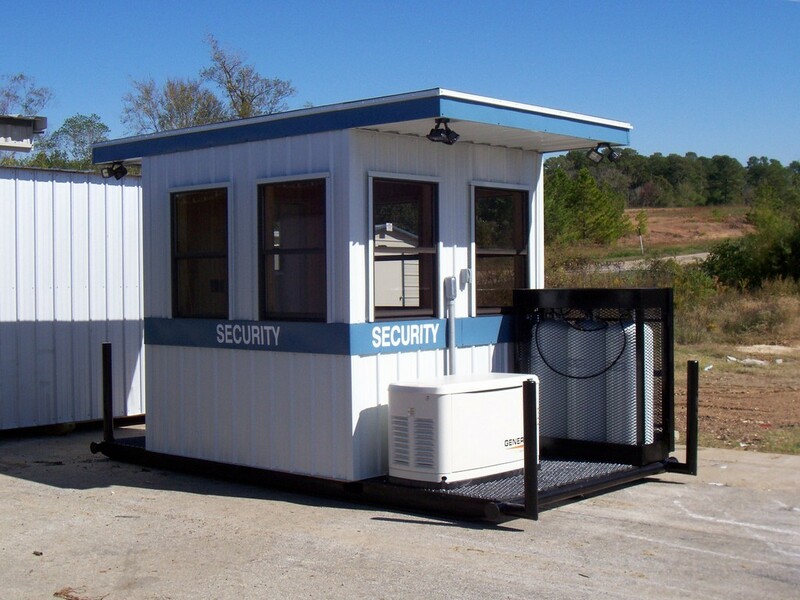 Security buildings designed to be moved to multiple locations with relative ease. 2″ hitch makes transporting convenient! JOISTS: 2X4 #3 SYP @ 16″ O.C. Peak Style Office – The Peak, especially with a two-foot overhang, is our most popular office. This office has a great commercial look with a cathedral style ceiling. 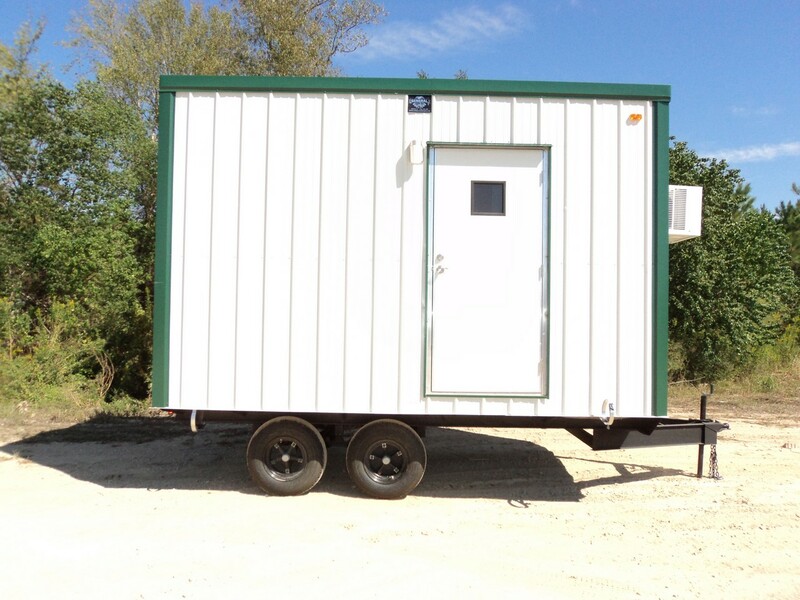 Gable Style Office – When a Texas State Code building is needed this is the building for you. Its flat ceiling and engineered trusses allow for central air and heat ducts to be placed overhead. 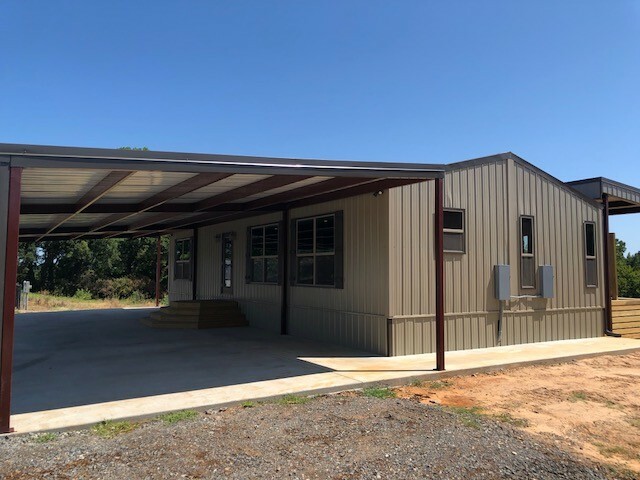 Mono-slope Office – This is another popular office that can be built to Texas State Code, perfect whether connecting to an existing structure or standing alone. 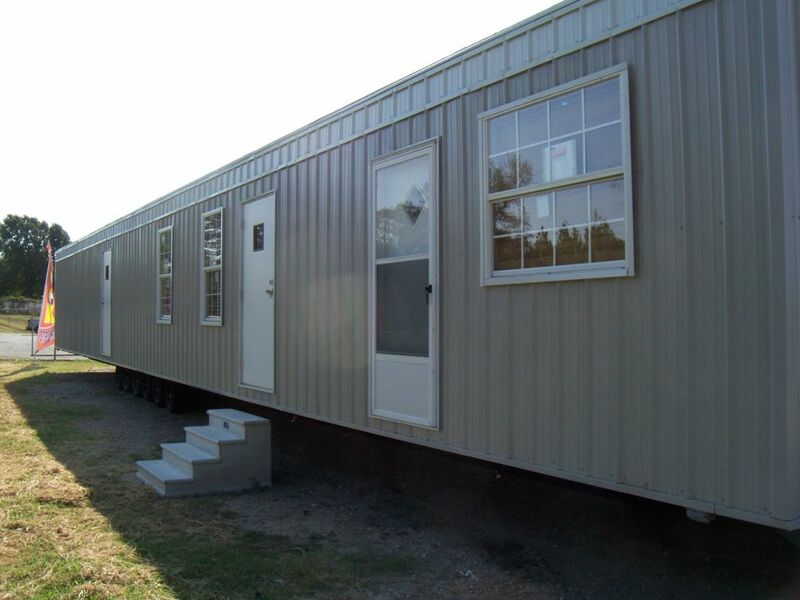 A perfect permanent or temporary classroom to expand your needs in a hurry. There are several Texas State Code plans already approved to be built in a variety of sizes. Fully customizable building systems to accomodate your worship needs and congregations budget. 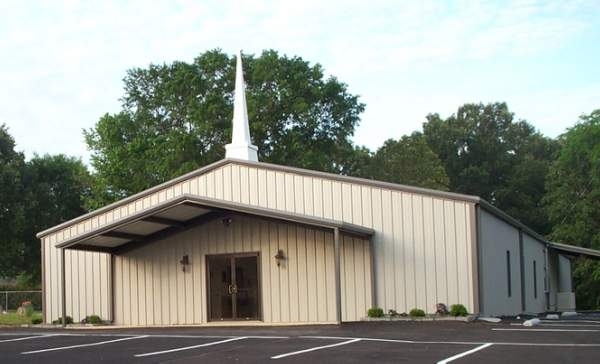 A metal church structure can provide a larger building at less expense.